Bioaccumulation describes the accumulation and enrichment of contaminants in organisms, relative to that in the environment. Bioaccumulation is the net result of all uptake and loss processes, such as respiratory and dietary uptake, and loss by egestion, passive diffusion, metabolism, transfer to offspring, and growth (Figure 1). Bioaccumulation thereby comprises the more specific processes of bioconcentration and biomagnification. 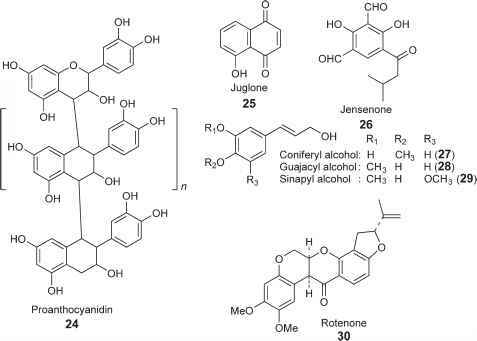 Bioconcentration is the process of direct partitioning of chemicals between the water and the organism, leading to elevated concentrations in the latter. Biomagnification is the result of contaminant uptake from the diet leading to higher concentrations in the feeder than in the diet. Subsequently, biomagnification leads to increased chemical concentration with higher trophic position in the food web. 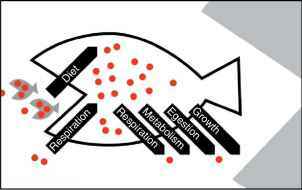 Figure 1 Bioaccumulation of contaminants (dots) to an organism (fish) as a net result of uptake and loss processes (arrows). Uptake is direct from the water by respiration and indirect through the diet. Examples of loss processes are respiration, metabolism, egestion, and growth dilution. 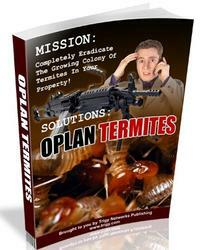 Bioaccumulating chemicals increase more than 5000 times from the water to the animal. As the total biomass decreases per trophic level in the food chain (while the contaminants remain), the contaminant concentrations increase moving up the food chain. This article focuses on organic contaminants; however, there are also other chemicals that are accumulating such as various metals and radionuclides. Examples of bioaccumulating substances are halogenated hydrocarbons such as polychlorinated biphenyls, brominated flame-retardants, perfluorinated compounds, and polyaromatic hydrocarbons.